Kaitlin earned a B.S. in General Biology and Life Sciences from the University of Findlay in 2009. Her career in marine science education started by working as a whale and dolphin naturalist in southern New Jersey. She then moved on to conducting outreach programming and on-board educational sea excursions for students with The Wetlands Institute from 2010-2016. Now, Kaitlin is the Education Coordinator for the Jacques Cousteau National Estuarine Research Reserve in Tuckerton, NJ. There, Kaitlin conducts and coordinates education and outreach programs for interested community members, families, outdoor enthusiasts, students, as well as formal and informal educators. Kaitlin has been a board member of NJMEA since 2012. Joe Rozak earned a B.S. in Chemistry, Canisius College, Buffalo, NY and an M.S. in Teaching (chemistry and physical sciences), Colgate University. He introduced Marine Science/Biology courses in prestigious schools throughout the country (1975, 1980). He studied coral reefs in Fiji and the Bahamas with Earthwatch and led Marine Ecology Exchange programs to USSR/Russia through "People to People" (summers 1990 - 1992). Joe studied GIS and GPS technology applied to coastal issues with MATES in Monterey, California (June 2005). Joe has also been leading SCUBA trips to the Carribean with Germantown Academy since 1986. Before retiring from 45 years of teaching, he headed the Science Department at Germantown Academy where he taught Chemistry 1 Honors, AP Chemistry, Marine Biology, and Physics. 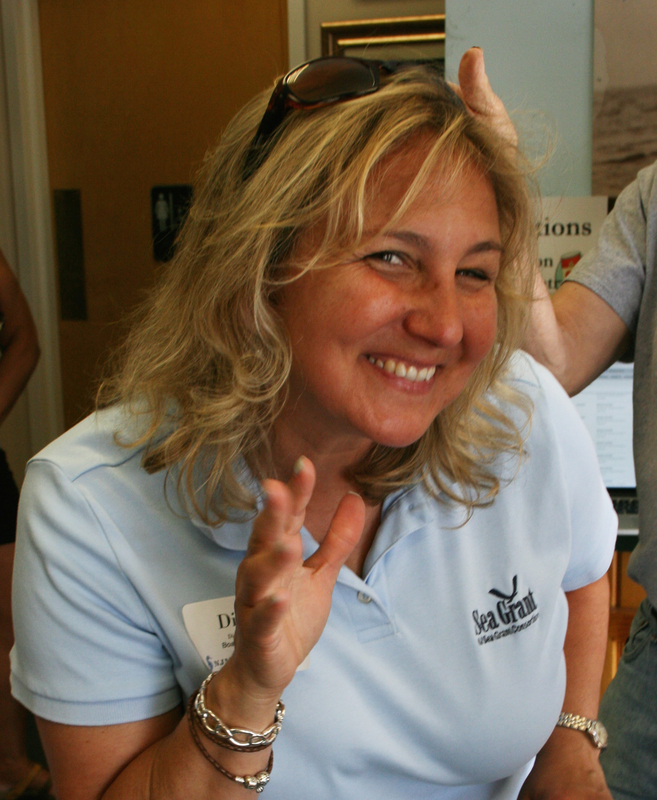 Diana is the K-12 Program Coordinator and Sea Grant Program Associate at New Jersey Sea Grant Consortium where she directs K-12 education programs administered by over 40 field instructors to more than 19,000 students annually. In addition, she facilitates in-school, hands-on marine and coastal science and ecology programs through NJSGC’s “Oceans to Go!” series, and develops and administers professional development opportunities for formal and informal educators statewide. Diana's most recent focus has been to enhance student outcomes in STEM education by incorporating marine and coastal sciences into cross-disciplinary, inquiry-based learning experiences, most recently by developing a program for the Hudson County Schools of Technology that incorporates underwater exploration activities, which combine oceanography, experimental design and engineering principles, into their STEM education efforts. She has more than 18 years of experience in teaching students at various grade levels, particularly middle school science, and in a variety of educational settings including parochial and public schools. 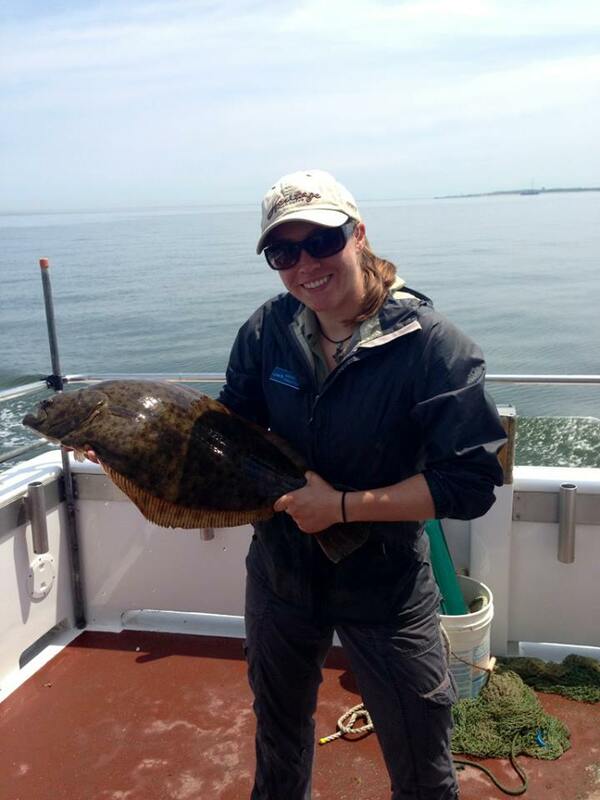 As Sea Grant Program Associate, Diana also coordinates and manages special projects such as NJSGC’s biannual research competition and various grant-funded collaborations. Diana received her B.A. in Biology from Rutgers University, and M.S. (ABT) in Wildlife Biology, Natural Resource Management from East Stroudsburg University, and believes that we should never lose our childhood sense of curiosity. As the daughter of a naturalist Melanie has always wanted to connect people to the natural world. She grew up in the North Woods enjoying the Great Lakes while majoring in Outdoor Education and Native American Studies at Northland College in Wisconsin. She came to New Jersey by way of California where she discovered the fascinating creatures of the ocean. She is the Education Coordinator for the Jacques Cousteau National Estuarine Research Reserve. Melanie has been an NJMEA board member since 2008 and also serves on the Pinelands Commission’s Education Advisory Committee. Steve Evert has been working in marine science education for 15 years. As the Field Station Manager for Richard Stockton College of NJ, he works closely with the College's undergraduate marine science and biology students, focusing primarily on their education as it relates to field work and its associated data collection techniques, equipment and instrumentation. Steve holds a B.S. in Biological Oceanography, a M.A. in Instruction Technology, and is a licensed U.S.C.G. captain having responsibility for the operation and safety of Stockton's research vessels and marine operations. Clare Ng has enjoyed her time as President of NJMEA and knows that she has left it in the very capable hands of newly elected President Steve Evert. Clare is a high school teacher at the Marine Academy of Science and Technology at Sandy Hook, and teaches 9th grade Marine Biology and 12th grade Environmental Science. As an adjunct professor at Brookdale Community College, she helped establish a dual-enrollment program between BCC and MAST that allowed enrolled students to obtain four college credits upon successful completion of her Environmental Science course. 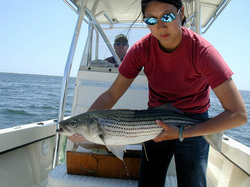 Prior to teaching, Clare was a fisheries scientist at Rutgers University who worked on the migratory patterns and habitat use of striped bass in New Jersey. Clare has a B.A. in Biological sciences from Columbia University and a M.S. in Ecology & Evolution from Rutgers University.